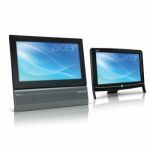 The Veriton Z Series delivers all-in-one business PC solutions for SMB users who require powerful, business-smart performance, connectivity, security and control with a touch screen. The space-saving design makes this desktop easy to fit anywhere -- it's even wall-mountable. The all-in-one design conserves desk or counter space and can also be wall-mounted, providing versatility in a variety of SMB settings. 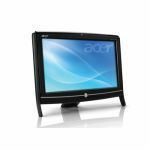 The cost-competitive touch screen offers enhanced desktop control and new avenues for business in showroom promotions, in-store demonstrations, public transportation, government agencies, hospitals, and more. A 2 MP webcam lets you engage in business with high-quality face-to-face video chats, while wireless connectivity and low PC system noise makes the working environment better. On top of that, strict compliance with environmental standards ensures high-energy efficiency and lowers operating cost. A proven processor provides powerful control of multitasking for everyday business productivity. Controls and connectors are positioned for efficient usability, and a modular internal design makes it easy to change parts. The Veriton ControlCenter places handy utilities in a single panel. 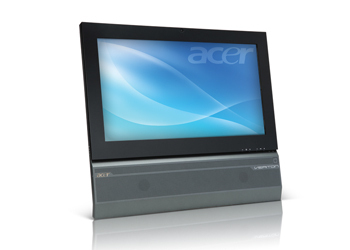 Acer Client Management gives IT administrators a simple solution for client and server management. The Veriton Z Series provides trustworthy and robust security features for better business. The Acer Security Suite uses TPM-based data encryption (optional) to protect your files, passwords and other vital data. 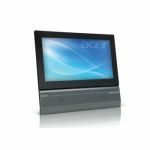 Several other business security features ensure reliable usability for private and public settings: Acer eLock Management, Acer eRecovery, McAfee® Internet Security Suite, and others.